The Punchinello is a mouse adaptor for the Amiga which lets you use PC mice. 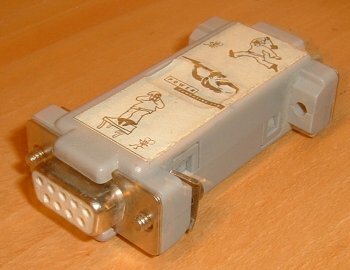 The adaptor plugs directly into the Amiga's mouse port so does not require any drivers and supports all three mouse buttons. The adaptor was supplied in two sections, although only the first is show in the images. The first section plugs into the mouse port and lets you use serial mice, the second section plugs into the end of the first section and lets you use PS/2 mice. 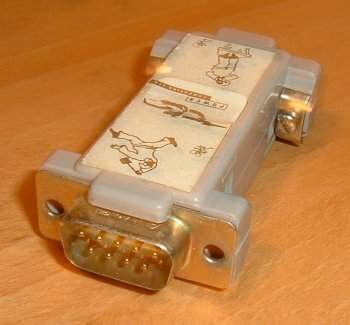 The Punchinello was often sold with a three button PS/2 wheel mouse.